CAREER OBJECTIVE: Desire an opportunity to use my innate and acquired abilities to excel in the field of consulting with special interest in human management. I also seek to be part of a world class organization with a passion for excellence and innovations, creating values and opportunities using the best practices. Diploma in Computer Studies (Upper Credit). 384, LAGOS/ABEOKUTA WAY, ABULE EGBA, LAGOS. - Personal banking services for high net worth individuals. - Managing customers’ requests and enquiries. -Paying and receiving of cash from customers/frontline ownership. 3. NIGERIAN INSTITUTE OF SOCIAL AND ECONOMIC	2005	RESEARCH (NISER) Ibadan, Oyo State. (MS-Word, MS-Excel, MS-PowerPoint, MS-Access, and SPSS). - Possess good communication, writing and strong interpersonal skills. - Value high ethical standard and determined. - Possess excellent customer service etiquette. Reading, Enjoy marketing and meeting people, Writing, Travelling, Playing football, I am an excellent cook. I also enjoy doing research on the internet. •	Tributary Areas of Manufacturing Industry: A Case Study of Askar Paints, Ibadan. 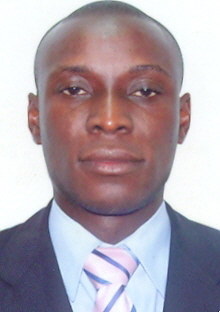 •	Environmental Effects of Road Transportation in Lagos and its environs. •	Effects of Industrial/Environmental Problems and Management in Sango-Otta. •	Environmental and Socio-Economic Impact of Energy Price Shocks between 1999-September 2004 and September 22nd- November 2004. •	Feasibility Study of New Post-Graduate Hall of Residence for University of Ibadan at Ajibode, Ibadan.